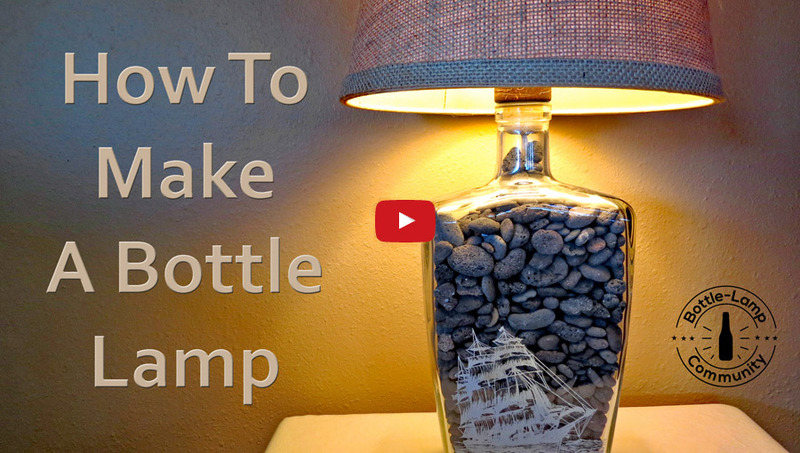 Learn How To Make A Bottle Lamp & Unique Crafts With Glass Bottles. DIY Bottle Crafts with Step by Step Instruction Videos, DIY Show Offs and Recycled Bottle Lamp Books. 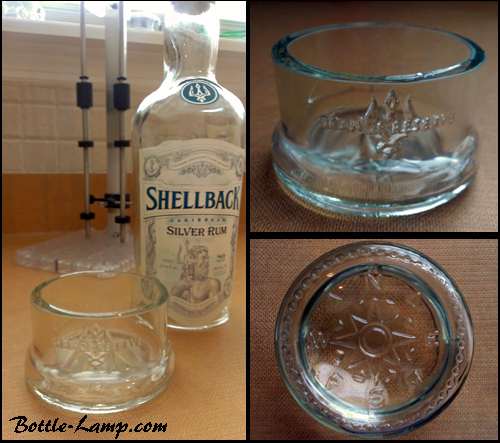 read our latest DIY bottle crafts articles! 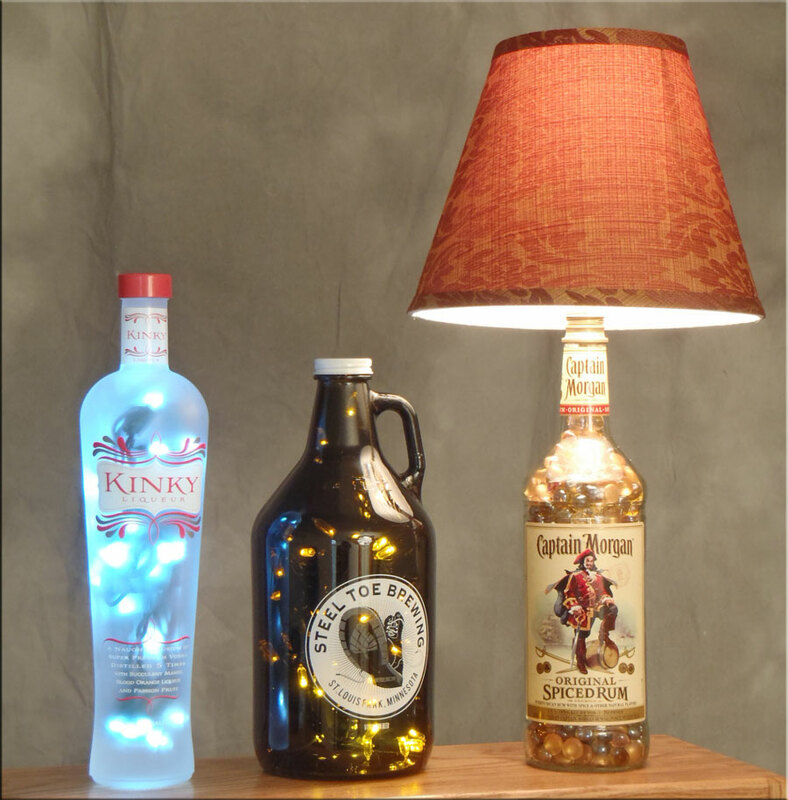 We have been creating lighted bottles, bottle lamps and many other fun craft projects using recycled glass bottles for many years now. It has been our pleasure to help hundreds of fellow bottle crafters over the years. Since 2008 over 2,500 visitors downloaded our original Bottle Lamp eBook and more than 1,500,000 people have watched our Recycled Bottle Project series on YouTube since its creation in 2011. Our audience is always growing! We love showing off YOUR finished bottle projects! Your DIY Show Off’s inspire thousands of Bottle-Lamp blog visitors every week. Experience the ultimate in bottle cutting! The Creator offers not just an amazingly effortless way to separate glass bottles, you will also get a bottle neck cutter to quickly and safely cut the neck off a bottle and four Glastoppers to turn your bottle necks into drinking glasses. This is the best bottle cutter and it’s made in the US. The Creators Bottle Cutter Ultimate Edition is a turn-key product ready for use right out of the box. Our Recycled Bottle Lamp Making Book! Complete with practical information and color photographs. Our guide will introduce you to the craft, class and beauty of lighted bottles. Our bottle crafting book is a great gift for beginners and non-computer users! Hurrah! We have released the digital version of our printed book! The Glass Bottle Crafts 3.0 eBook is only $2.99 and it’s filled with a ton of helpful tips, glass drilling and cutting tool recommendations, resources and lots of new and exciting creative DIY project ideas. All in one easy to read, printable document. Turn any recycled glass bottle into a work of art! Good Luck with your DIY Bottle Crafts Projects. Be sure to visit our Testimonials page to find out what your fellow crafters are saying! Before you leave… don’t forget to Subscribe to our email list. We will let you know (about 4 times a year) about the new DIY bottle projects on our blog, share new how-to videos, offer promotions and giveaways and will include links to our readers DIY Show Off submissions. No spam, we promise!